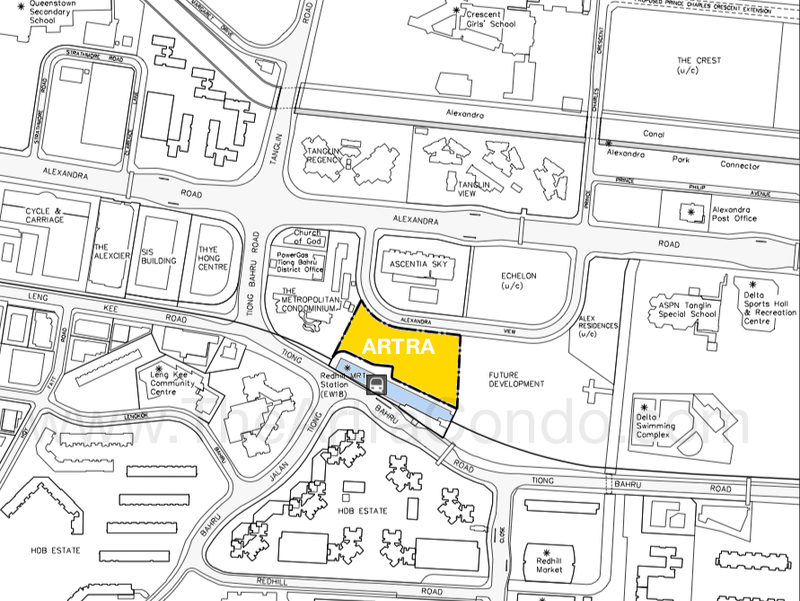 The Artra condo is a new mixed development that occupies a plum site in front of Redhill MRT station, at Alexandra View on the fringe of Orchard Road & the CBD. To launch for sale by the developer Tangs Skyline (Tang Group) in 2017. Artra is really the most conveniently located of all the residences in the Alexandra / Redhill area. Not only is it the closest to the MRT station, in fact directly beside it with not even a road in between, but it will enjoy the convenience of a childcare centre, and shopping mall, F&B outlets, and decent sized supermarket at its ground floor as well. The Artra is part of a private condominium enclave, flanked by well-known developments like Ascentia Sky, Echelon, and The Metropolitan, which have mainly sold out. Redhill station is on the East-West MRT line, that runs right across the island, connecting Jurong Lake District on the west, and the Financial District of Raffles Place & Marina Bay to the east, and directly onto Changi International Airport. A home on the city fringe at the Alexandra area, just 5 to 10 minutes by car to the Orchard Road shopping belt and the Central Business District (CBD). Less than 15 minutes train ride from Raffles Place, Shenton Way & the Marina Bay Financial District. The sheer convenience of a mixed development, with everything at your doorstep – dining and fast food outlets, groceries from the supermarket, retail shops, childcare centre. With immediate access to the MRT network that reaches to everywhere else in Singapore including the airport. And if you tire of the shops and F&B joints downstairs, there are lots of enjoyable dining & relaxation options nearby. There is the laid back charm & greenery of Dempsey Hill with its spread of bars, restaurants & cafes. Or the buzz of Holland V with its eclectic mix of ethnic restaurants, eateries, and pubs with live music. For more traditional hawker food, try out the well-known hawker stalls at Mei Ling Street, Alexandra Village Food Centre, ABC Brickworks Market, and the character-laden lanes of Tiong Bahru. The Artra condo location should attract potential tenants. Besides all these attractions, it is on the edge of the upmarket Tanglin precinct & Orchard Road shopping district. It is also a short drive from Mount Faber, and the Telok Blangah & Southern Ridges green belt of parks & recreational facilities. Please register here if you would like to be kept updated on the Artra Singapore launch. Besides Artra, there are only a handful of such mixed developments on the market. The latest similar city-fringe one that will be launching soon is called Uptown at Farrer. This project is a 24-storey high development, located quite close to the city centre and Orchard Road too, at the Farrer Park area. The Uptown @ Farrer site is at Perumal Road, between Tessensohn and Race Course roads. Like the Artra, it has shops at the ground level, and a residential tower above that. 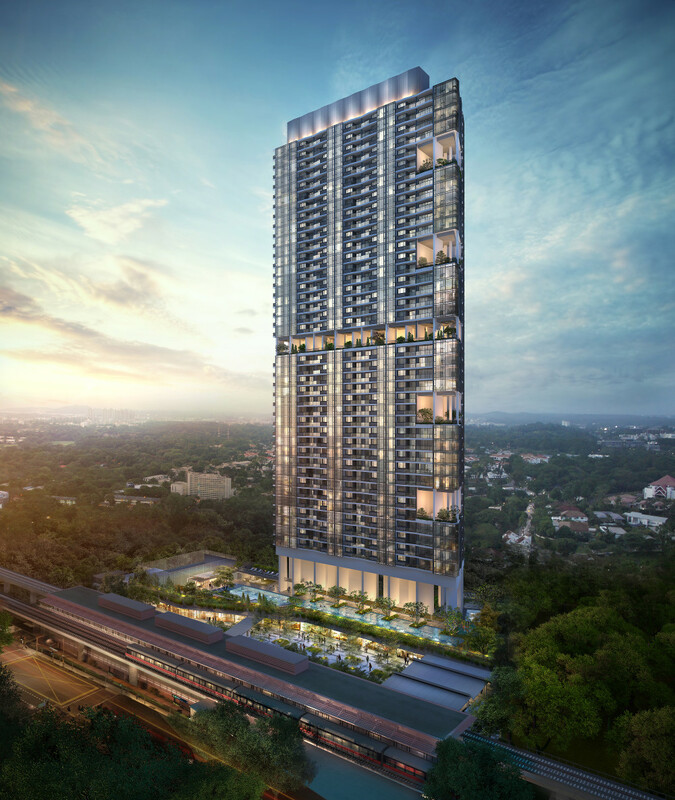 Unlike Artra, part of the residential component will comprise serviced apartments as well, 240 units in a 16-storey block, called LYF at Farrer Park. 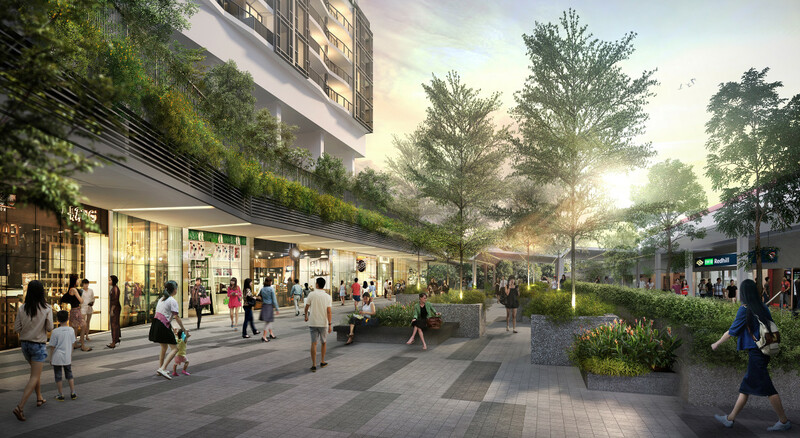 LYF at Farrer Park will be managed by Singapore’s biggest service residence operator, CapitaLand’s own residence business unit, The Ascott Limited (Ascott). The facilities deck will be at the 4th level – swimming pool and roof garden, and various communal facilities for the Uptown at Farrer residences, as well as sky terrace for the serviced apartments LYF at Farrer Park. Like at Artra, the Uptown @ Farrer condo site is very convenient to an MRT station. Basically less than 5 minutes walk to Farrer MRT station on the purple North-East line that goes down to Orchard Road 2 stops away, and beyond that to Clarke Quay, Chinatown, and Outram Park, before ending at Vivocity. 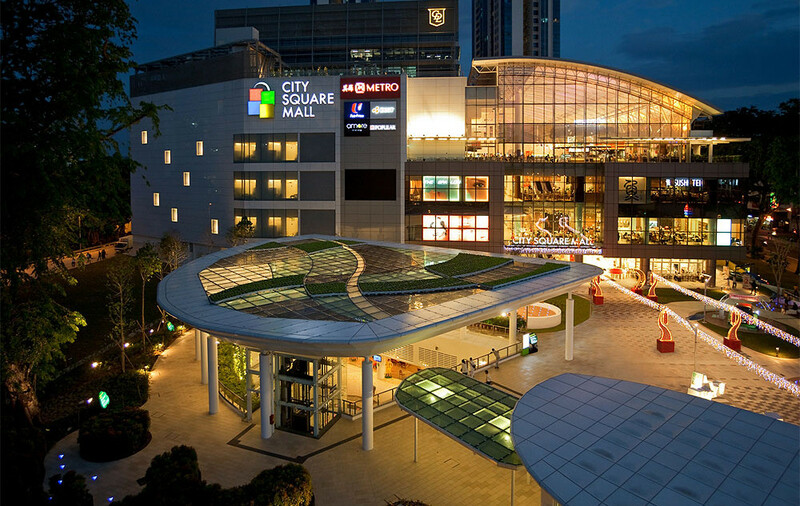 This project has the advantage of being opposite another big shopping centre as well, the City Square Mall, besides its own shops at ground level. And of course, there is Mustafa Centre too, the 24-hour mega store, where one can find literally anything and everything under the sun. If you are feeling wide awake or hunger pangs hit at midnight, just take a stroll over. It is perfectly safe, and often still bustling in the middle of the night. The Uptown at Farrer condo is not a very large development. With only 116 residential units for sale, ranging from one to 4 bedroom apartments, it should not take too long to sell out, given its locational conveniences. If you are interested to take a look, just sign up for the Uptown at Farrer showflat viewing appointment. Being developed by a home-grown developer Low Keng Huat, that started out in the construction business in 1969, and evolved into property development as well. Since then, Low Keng Huat has done a number of other projects, including One-North Residences at One-North Gateway, and South Bank at North Bridge Road. 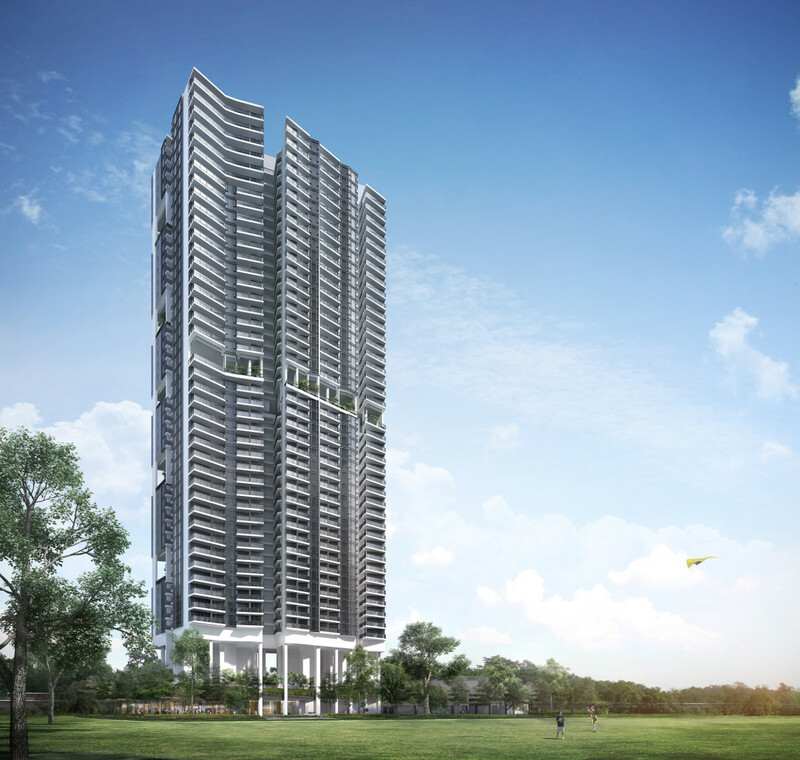 The architects will be Metaphor Design + Architecture Pte Ltd. The Urban Redevelopment Authority (URA) launched this site for sale by public tender on 20 September 2015. A total of 10 bids were submitted. The tender closed 12 November, and was awarded to the top bidder Tangs Skyline Pte on 17 November 2015. Tangs Skyline, part of the Tang Group of Companies (otherwise known as Tang City Holdings), put in a top bid of SGD$376.88 million. This works out to $851 PSF per plot ratio for the land. What is interesting is that the 2nd highest bid was just 1% lower. At SGD$373.1 million or $842 PSF PPR, by a JV of UOL Venture Investments and Singland Homes. In fact, the top 5 bids were all within a 4.8% range, indicating that the top bid was not an over-valued or over-enthusiastic one. It is always harder to estimate pricing merely based on the land cost PSF, if the development has a commercial component. That is because the value of the commercial space could be more, thus off-setting some of the cost of the residences. On the other hand, the developer could choose to value them equally, while keeping the commercial units for rental. Assuming equal value, and overheads, construction and financing of $450 PSF, break-even PSF could be in the region of $1,300. Some industry experts have in fact estimated a break-even of about $1,350 to $1,400 PSF. Our estimate is that the Artra condo price range could be in the region of $1,500 to $1,800 PSF, varying with the unit facing, size, and level. Note: Bear in mind that published average pricing for a project usually pertains to the pricing of mid-floor & mid-size units like 3 & 4 bedders. Average prices of 1 & 2 bedroom units are usually higher than the average stated PSF for a project. There were 10 bidders for this site, and competition for it was quite keen. Which was hardly surprising, as the site is attractive given its nearness to Redhill MRT station, and its commercial component at the 1st storey. What was surprising however, was that the top bid came in at the lower end of market expectations. In fact, it compares very favourably with the land price of other new projects in the vicinity that still have significant numbers of units for sale. For purposes of estimating the Artra condo price range, Alex Residences ought to be the one to look at, as it is the nearest, just an extra couple minutes walk from Redhill MRT station. See this report for the news article on the land sale (opens in new window). Please register here to receive updates on the Artra prices once available.